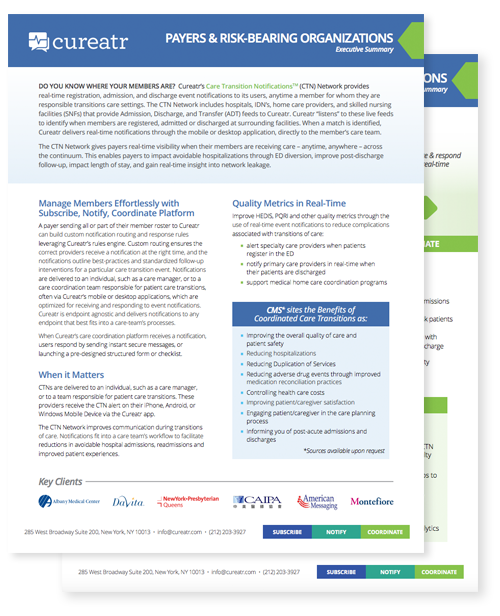 The Cureatr Care Transition Notification (CTN) Network gives payers real-time visibility when their members are receiving care – anytime, anywhere – across the continuum. 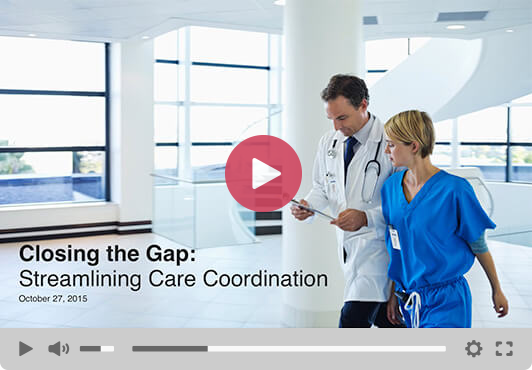 This enables payers to impact avoidable hospitalizations through ED diversion, improve post-discharge follow-up, impact length of stay, and gain real-time insight into network leakage. Complete the form to learn more about what Cureatr can do for your organization.